“Engineering!”. This is the most common answer you will get if you ask a science student of +2 in Nepal that what s/he wants to study after completing their intermediate level. Engineering is gaining more popularity with the increase in colleges and institutions that teach Engineering in Nepal and their effort to attract more students. The scope of Engineering in Nepal is also increasing with the increase in developmental activities, although it is in slow rate. Engineering is a dynamic field with lots of specializations. Engineering holds a bright and exciting future in Nepal as well as abroad. One can make his/her career in governmental projects, private or public sector industries, construction companies and on many other fields. In surface, it may seem that there is lack of opportunities here in Nepal. But due to the increasing growth in development projects and industrialization, Nepal offers a brought career prospects for engineers. There are many colleges in Nepal with affiliation to Tribhuwan university (TU), Kathmandu university(KU), Pokhara University (PU), Purbanchal university, CTEVT(for diploma courses). Almost all the Engineering colleges of Nepal are concentrated in Kathmandu. Other than the valley, few engineering colleges of Nepal are located in other cities. Pokhara, Butwal, Dharan, Biratnagar, Nepaljung are the few cities outside the valley which has Engineering colleges. Currently, Engineering is only taught in English in all the Engineering colleges of Nepal. There is no any provision to study Engineering in Nepali Language and it doesnot seem that this will happen soon in the near future as well. So, students wishing to studying Engineering in Nepal must be prepared for this and have a good understanding of English language. Civil engineering is the most popular and oldest discipline of engineering in Nepal and outside Nepal too. There are wide variety of scopes that civil engineers deal with. The most common infrastructures of civilizations like building a home or bridge, designing a road line involves civil engineering. Most of the engineering colleges in Kathmandu as well as other cities in Nepal have maximum number of seats for Civil Engineering. Civil engineering is an exciting and rewarding profession in Nepal as it is in rest of the world. The career prospects of civil engineering is unlimited. They can work in small construction projects to designing space stations. An electrical engineer is the person who is behind the design, development and innovation of new electrical equipments by using his/her engineering skills in the research, design, testing and development. An electrical engineer is a specialized type of engineer who deals with electronics, electromagnetism and electric energy. Architecture engineering primarily deals with task of building. It involves creating the maps or structural diagrams of buildings and artificial physical structures and integrating the various techniques and systems available in today’s advanced technology. An architect takes into account the safety, economical viability, environmental and future aspects of any building project and makes the project sustainable and efficient. As Architecture engineering is a sub-discipline of engineering, candidates must be sound in mathematics, physics, and computers. Also, they must possess a talent in creative design and arts as architecture is a blend of engineering and arts. In Nepal, the scope of architecture engineering is rising in recent years. The authority to certify the design of building and other structure lies with architect in Nepal. Mechanical engineering is also a broadest and popular disciplines of engineering like civil engineering in Nepal and outside Nepal. In general it can be said that mechanical engineering is involved in the study of movable objects. 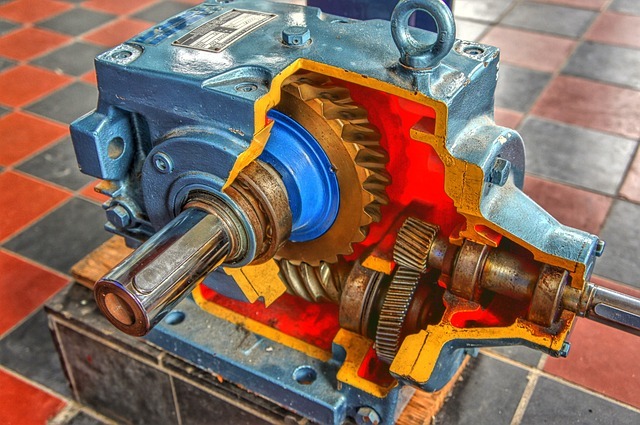 Mechanical engineering is the branch of engineering that applies the principles of physics, mathematics and material science for the innovation of mechanical systems. The vast field of study in mechanical engineering allows students/engineers to get their hands on one of the various career options. Most Mechanical engineering programs also require thorough knowledge and skills on research techniques and project management techniques. Computer engineers are responsible for the technical advancement of world. It is due to the research, hard work and study of computer engineers that we are able to use the computer related technologies which are making our lives easy. Computer Engineers embed computer system in other machines and systems to make them more capable and efficient. They are concerned with analyzing and solving or mitigating computer related problems. Statistics show that computer engineer graduates get the highest starting salary among engineers of various disciplines. Computer engineers have options to work in software or hardware or networking field or blending all of them. Computer engineers have high pay in Nepal too. Only about courses. What about their application field? Tell more about their application in real world. Specially in Nepal. Please tell me what is the salary of engineer in Nepal? I’ve heard that there are too many engineers so the average salary of engineer in Nepal is declining these days. Do fresher engineer get jobs easily in governmental and private sectors? Which engineering among civil engineering, mechanical engineering, electrical engineering is best in Nepal regarding the salary scale and jobs availability? if it seen overally, industrial engineer is best and highly demanded in nepal. as many of industrial sector are in growing phase.also many places where a industrial engineer can be suitable are filled up by mechanical graduates , instrumentation engineers etc who are in real exported from outside nepal. so it has become a great challenge for the industries to look for approprite technical. as concern of salary, it is solely depend upon him/her capablity, knoweledge and dedication for specified task. you can make your montly salary from nrs. 5000 to 5 lakh. so totally upon u, what u like to get. I also wanna know about it…Is computer engineering same as IT engineering???? a good platform for students to get information about different fields to study in nepal. What are the risks and rewards of engineering in Nepal ?? I’m confused in studying in nepal or going to abroad for further study? what is good for a student after +2 have a thought of study engineer in Nepal. How can we go abroad for further studies? Can I apply for engineering with such grades.Please help me in this situation and please tell me whether my physics grades will be sufficient to apply for engineering or not. I think Physics grade is not sufficient.
. My also D+ in chemistry. Which is the best college for computer engineering?? i didn’t pass the ioe entrance examination so where else can i apply? can anyone give me suggestions?? When i should join pre-engineering classes or I shouldn’t ? I am in 12 now.